Maitri Dharma & the Maitri Light. Most notably, Love Inspiration offers its free Ascension Pathway which can help guide an individual into the energetic vibration of The Grand New Maitri Consciousness; a place of love, kindness, peace and unity. In addition to this, Love Inspiration is also delighted to offer a wide variety of free energy based healing courses which can help to inspire a more loving, happy and peaceful way of life. These healing systems are also a wonderful complement to the Love Inspiration Ascension Pathway journey. The Love Inspiration website now also includes some basic information about the Maitri Dharma. We are truly humbled to share these divine teachings in the hope of inspiring people to connect with these beautiful teachings, energies & healing practices for the benefit of all beings. And finally, Love Inspiration offers lots of free information about all things natural & sustainable living. This information is offered lovingly to those who may be progressing on their journey and who may benefit from a more natural, wholesome & pure way of life. Being practiced by millions of people worldwide, Usui Reiki is by far the most popular form of energy based healing today. Being learnt over three main levels, the Usui Reiki practices give you the opportunity to heal yourself and others through a variety of healing practices & meditative techniques. Love Inspiration is also delighted to offer you the chance of learning the Advanced Usui Reiki system & the Usui Reiki Gold levels which helps to energetically extend and expand on the traditional Usui Reiki levels. May you enjoy opening up to this series of Advanced Reiki energies, healing practices and attunement processes! ​allows you to clear away many kinds of energetic blockages and imbalances as you move to more loving, positive and happy states of being. The practices are very simple and easy to learn and can be completed within around 5 - 10 minutes, making this a wonderfully simple ​and effective healing system! 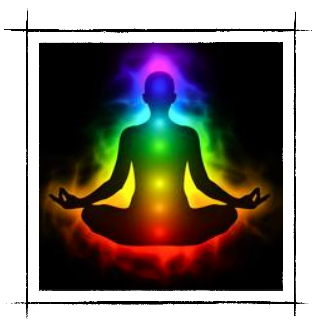 The Advanced Kundalini Healing system has been brought through to Love Inspiration as a way of extending and expanding upon the current Kundalini Reiki system so that recipients can experience a deeper and more expansive understanding of the Kundalini energies. We hope that you will enjoy these teachings with much love! We feel very blessed to have received a number of Master Level Symbols and we now offer these to those who are a little more progressed on their pathway. These Master Level Symbols courses can be learnt very quickly and easily and will help to add to your divine healing toolkit as you open up to these beautiful healing frequencies for the benefit of all. We are delighted to offer you the Love Inspiration Ascension Pathway which can help you to ascend into the vibration of The Grand New Maitri Consciousness (The New Consciousness). ​The Ascension Pathway has been divinely designed by 'Higher Consciousness' and helps to provide each recipient with a series of sophisticated energetic upgrades, ascension attunements and divinely guided healing practices that help to bring about deep and significant healing & purification from within. practices in as little as 10 - 20 minutes a day! As part of the Maitri Foundation charity, Love Inspiration is truly delighted to share the Maitri Dharma Practices and introductory Maitri Dharma teachings here with much love. In simple terms, the Maitri Dharma encapsulates all of the precious teachings of Maha Sambodhi Dharma Sangha Guru and can help an individual to move towards their purest & most divine potential. We offer these divine teachings humbly, happily and lovingly with the intention that all beings attain freedom and liberation. Universal Reiki is a beautifully uplifting series of energies that can help to bring about very intense and significant healing in a relatively short period of time. Given the higher vibrational nature of these teachings, these energies are offered to those who have either completed or partially completed their Usui Reiki training and in this way, these Universal Reiki energies help to form another wonderful expansion of a person's Reiki journey. These free distance healing energies are sent out on the 11th of each month and can be helpful to those who are moving through a time of difficulty, hardship, pain or suffering.